Loving couple of volleyball players. 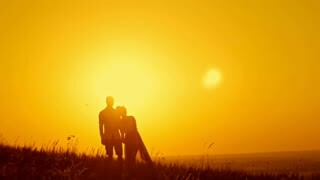 Guy and girl walk on sunset background. Love story. Silhouette of loving couple on the background of a beautiful sky.